Our client agreed to a conditional site purchase subject to obtaining planning consent for a new build stable complex, manège and alterations/extension to the existing dwelling. Working with planning consultants we were employed to design a proposal that balanced our client's requirements with the opportunities and constraints of the planning system. 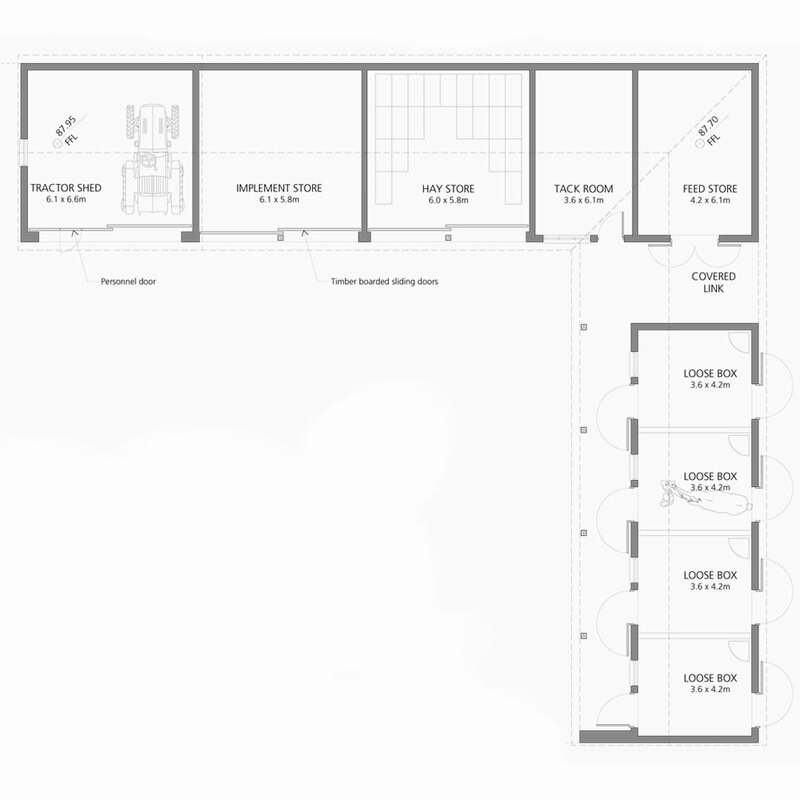 We gained planning consent with a proposal based on typical vernacular farmstead principles. 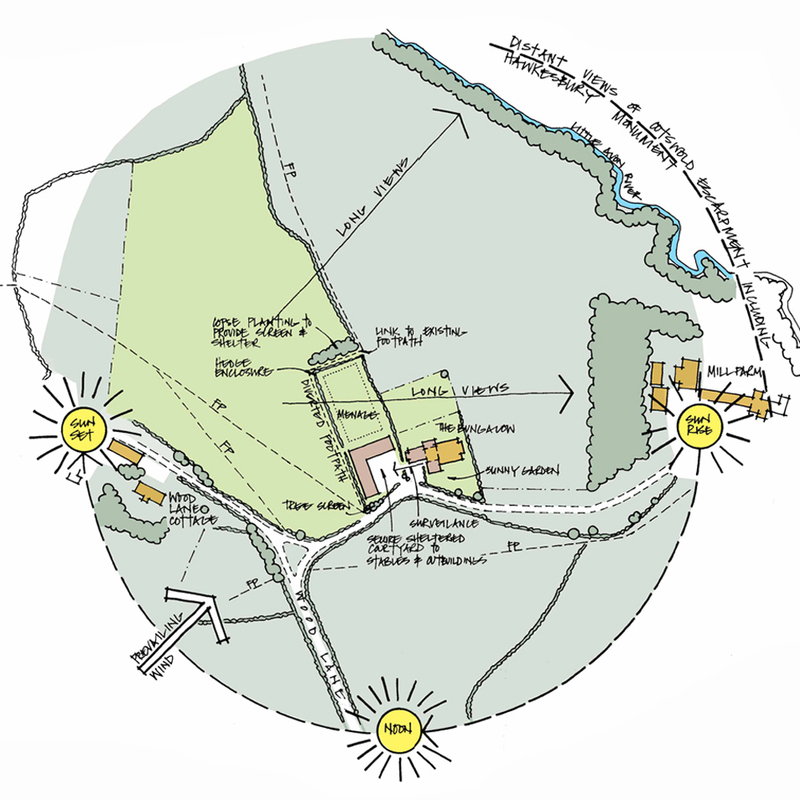 The working buildings (stables and outbuildings) are orientated in an L shaped plan to provide shelter from the prevailing south westerly wind. The stables define the north and west edges of the stable yard and face the dwelling providing good access and surveillance between buildings. New buildings are simple rectilinear shapes with pitched roofs typical of traditional farm buildings. The manège is located to the rear of the stables and is enclosed by new hedge planting. Existing field boundaries are maintained and new boundaries are defined with hedge planting to match existing. Copse tree planting provides additional shelter and partial screening of the buildings whilst increasing the tree cover in the wider landscape setting.